Solus Alternative Asset Management, led by Christopher Pucillo, revealed in a newly amended filing that it has cut its position in YRC Worldwide, Inc. (NASDAQ:YRCW) to 800,715 shares, from 990,323 shares held earlier. The current holding represents a 6.82% stake of the company’s common stock. During the past couple of months, Solus has disclosed several moves into YRC Worldwide. Overall, the fund reduced its stake from 739,853 shares held at the end of September, even though in December, Solus raised its activist stake to 14.6% of the common stock. 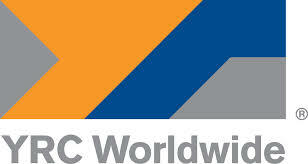 YRC Worldwide, Inc. (NASDAQ:YRCW), however, saw other hedge fund’s like Rima Senvest Management show an interest. Rima Senvest Management revealed in a filing earlier, that it initiated a position in YRC Worldwide, Inc. (NASDAQ:YRCW). The fund now holds 757,104 shares and the stake, it holds is 6.8% of the company’s stock. YRC Worldwide, Inc. (NASDAQ:YRCW) has one of the largest, most comprehensive less-than-truckload (LTL) networks in North America with local, regional, national and international capabilities. The company is engaged in providing trucking services for the less-than-truckload category across North America. In a recent press release, YRC has said that it plans to lower its debt by over $300 million through an agreement it had concluded with other institutional investors as well as holders of Convertible Notes, Series B Convertible Notes. Before YRC Worldwide, Inc. (NASDAQ:YRCW) moved forward with its financial management, another hedge fund expressed its interest in this trucking services provider. Cyrus Capital Partners, managed by Stephen C. Freidheim, a few months since choose to raise its activist position in YRC Worldwide. It holds 1.33 million shares representing a stake of 11% of all outstanding shares. Meanwhile, Marc Lasry’s Avenue Capital, trimmed its stake in YRC Worldwide to 549,881 shares at the end of October, 2013. Solus Alternative Asset Management follows single opportunity, event-driven/distressed and long-only strategies. This fund holds interest in other domain companies as well and has since invested in Visteon Corp (NYSE:VC). It holds 2.08 million shares, in Visteon Corp worth $157.33 million, representing 49.5% of its equity portfolio. It has also raised its stake in Loral Space & Communications Ltd. (NASDAQ:LORL), by 2% in the third quarter of 2013 to 1.43 million shares which constitutes 30.57% of its portfolio. The fund has also invested 1.92% of its equity portfolio in National Bank Holdings Corp (NYSE:NBHC), holding 298,276 shares, with a reported value of $6.13 million.